Staying outdoors last week was a definite requirement in Chapel Hill. The weather was amazing. I mean...blooming flowers, trees, a slight breeze... overall, a good day to take blog pictures. I opted for a denim on denim look with fun bright pieces, such as the yellow skinny belt and the pink gold cap-toe heels (which are on SALE at Target right now). I personalized mine with UNC colors (Carolina blue and white) and opted for stripes, because well, they're a classic. You can personalize your own tote with your own pattern, colors, intials over at Barrington! You probably remember her from here + here. It was her birthday, and I wanted to help celebrate by doing a birthday shoot for her. 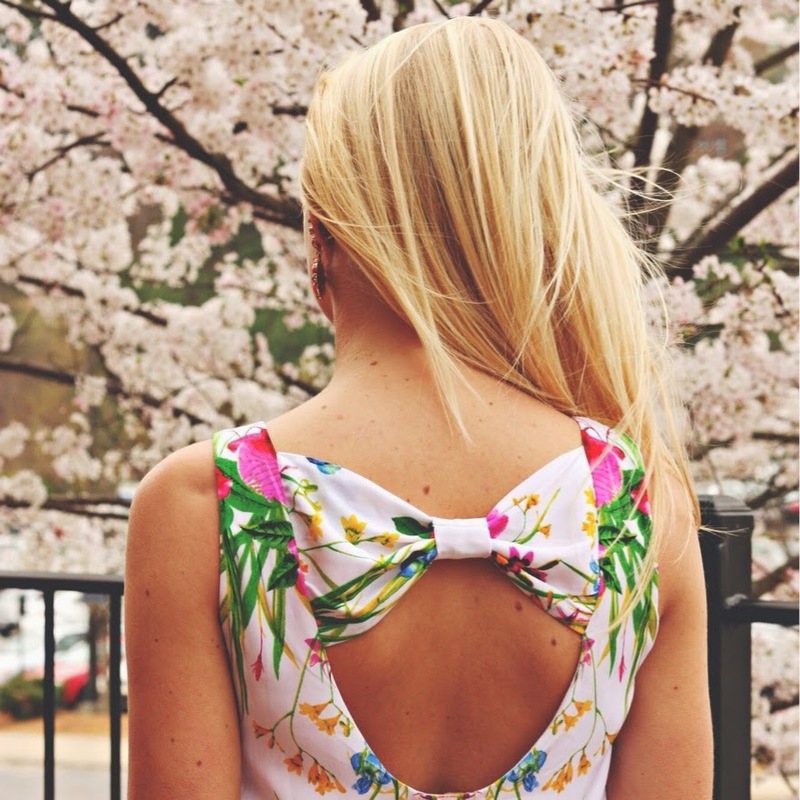 How darling is her Lilly Pulitzer pearl bracelet? !